Great British Bake Off‘s Nadiya Hussain is set to host a brand new cooking show on the BBC. The 2015 Bake Off winner already presented her own BBC programme last year: The Chronicles of Nadiya, which was a two-part piece exploring her culinary roots in Bangladesh. The show was such a success that the star has now bagged herself another exciting series. Nadiya’s British Food Adventure will see the culinary star make her way around the UK in a quest to find the best of British food. The series will air in eight parts and each episode will feature a new British region. Earlier this week, former Bake Off judge Mary Berry revealed that she may have clashed with Paul Hollywood over the show’s move to another channel. The two baking stars parted ways last year when it was announced that the series would be moving from BBC One to Channel 4. While Mary decided to remain loyal to the BBC, Paul chose to keep his job and follow the show over to the rival broadcaster. Mary has previously stayed more or less neutral on the matter, but she has now revealed that there were bumped heads during the process. 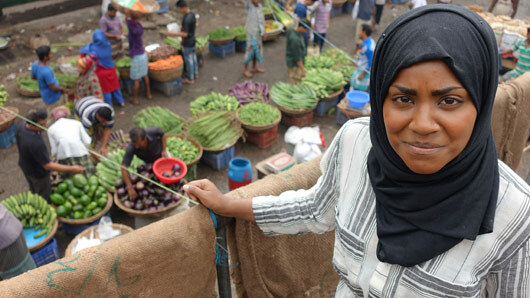 Nadiya’s British Food Adventure will air soon on BBC One. Great British Bake Off will return later this year to Channel 4.